Tintin Heart: My new stash items! Hi all you crafty people. I haven't posted for a while mainly because I've been finishing a large order of the Order of Service booklets for my nephew's wedding and also attending said wedding in Ireland. A great opportunity for a family reunion and a fantastic time was had by all. It is a bit of an anti-climax to be back at home and getting on with the normal stuff, but I have some fab photos, which I hope are a good source for some scrapbook pages, and my new stash to help me get back into the swing of things. The stash, I am calling this my July Haul, is in five parts. My pocket-money paid for some new Hero Arts wood mounted stamps and a set of clear 'With Sympathy' stamps. I also bought a Marianne Designs cutting and embossing die, which I am keen to try out. The die looks fragile so I am not expecting it to cope with the heavier papers, but we'll see. I'll let you know how I get on. Next in line are the selection of paper-crafting magazines I picked up up while I was in Ireland. I use to subscribe to a couple of the magazines, but the shipping charges made this very expensive. Also, although I was paying full subscription rates, some of the 'sign-up' promotions only apply to UK residents. No fair! Anyway Crafts Beautiful, Quick Cards and Making Cards are amongst the choice this time. 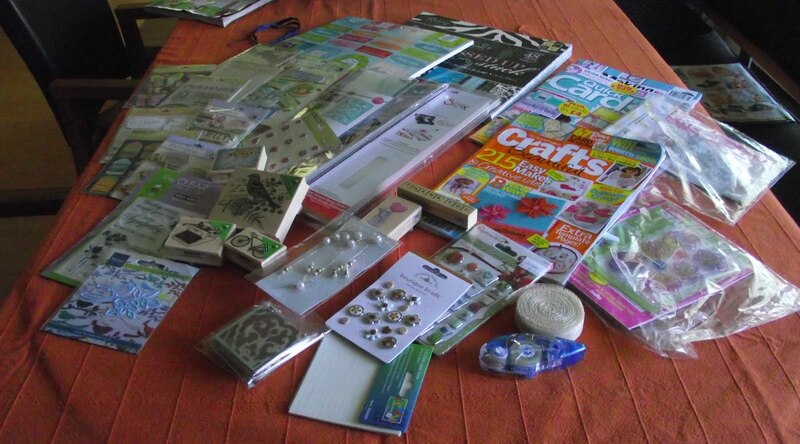 The bonus is that Quick Cards and Crafts Beautiful have freebie stamps with this months issues. Both stamps sets are Cup Cake related, which helps me to follow the current trend in paper crafting products. Bargain! 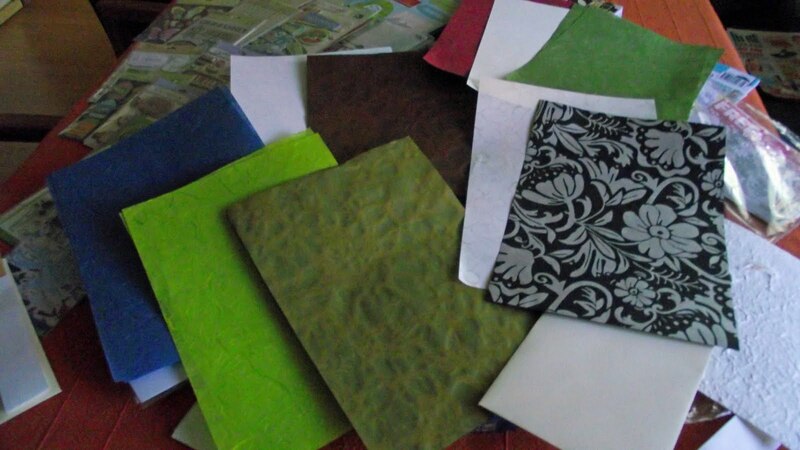 Next up are the papers I got at Daintree Paper, Camden Street, Dublin. I am a big fan of the shop and I make a point of visiting each time I get to Dublin. I love the selection of handmade, eco friendly papers they have on offer. The staff are great and very helpful. Then we have the most impressive addition to my stash so far...well ...for this trip. My absolute diamond of a sister-in-law, Sheila, presented me with some fab stuff she brought with her from the US. 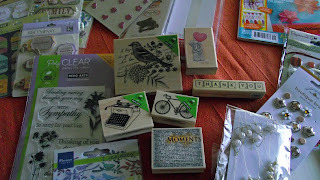 Sizzix, Kay&Co, and a couple of names new to me 'Life's little Occasions' and 'Studio 112'. A premium stack from DCWV called 'All dressed up' has some really glam 12x12 papers, ideal for girlie cards and Colorbök Glitter Punchout Pad with 354 paper embellishments. All garnered from the special deals run by US stores Michaels and Jo-ann's, which I would consider commiting a serious crime in order to get access to! I have seen references to these stores on other blogs and was amazed at how cheap the craftting kit is in the US. 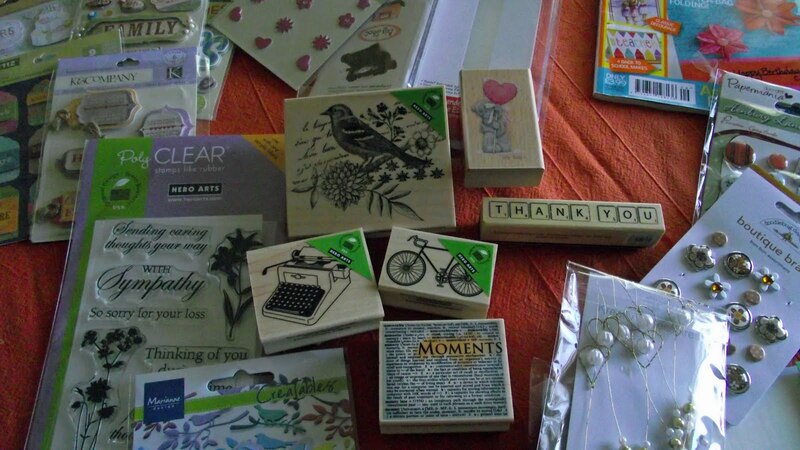 Last but not least are some brads and Stamps from Papermania and Docrafts and some boutique brads from Doodlebug Design bought at a new shop I discovered in a local shopping centre. I only use products and kit that I find to be good qualtiy, reliable and give the best results for the money. I am hampered by the fact I have to order in quite a lot of what I see in the mags and on the blogs, so I have to think hard before I spend. 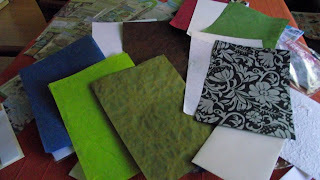 But this July Haul has got to be the best since I started papercrafting. Thanks for stopping by and letting me share my good fortune with you. Get Funky Challenge - At the Seaside!